Hey, guess what? We had time for school this week. As amazing as that sounds, it felt like a pretty normal week. There were a few hiccups, but for the most part it was a rather productive school week. Hooray for the good guys. We managed to keep the medical appointments down to just Amber's physical therapy, and that was her first one in four weeks! Amber goes another four weeks before her next PT appointment. After that she may need to return to every two weeks, depending on how her body is reacting to late autumn weather. Here's to hoping she can stay on every four weeks until winter. 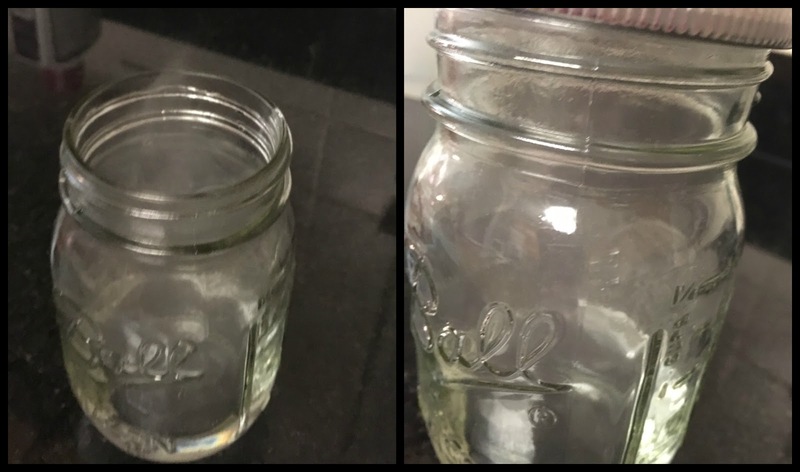 Cloud in a jar for meteorology class - it worked at home and in class. Whew. In other medical news, we got the results of all the testing done last week for Amber and there was really not much of note. Oh, well, her intestines aren't happy, which we knew and thus was the reason we scheduled the GI appointment in the first place. As of right now, we still don't know why her intestines have again decided to stop working correctly. 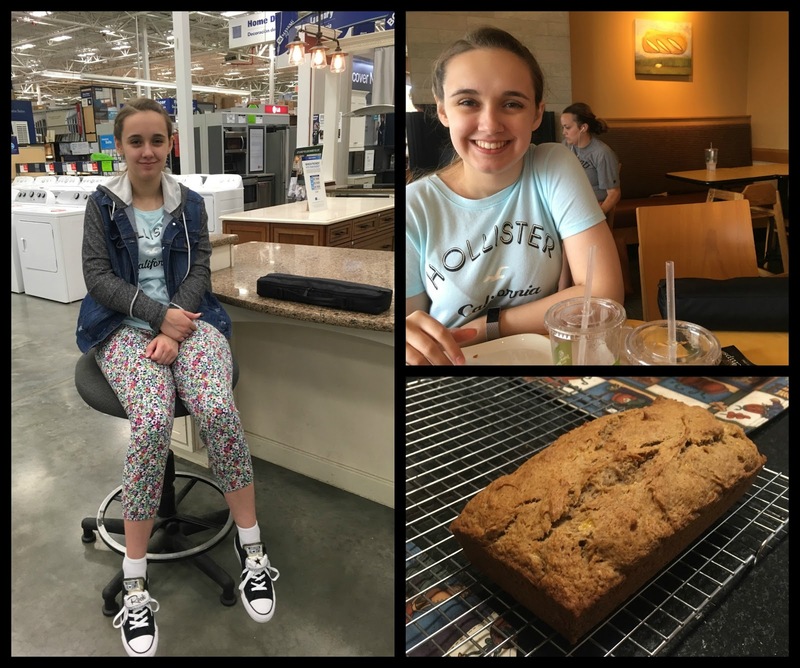 For the past year and a half, maybe close to two years, the intestines have been mostly functioning with the gastroparesis being Amber's main GI complaint. Now, the intestines have overridden the gastroparesis difficulties. I'm afraid Amber will have to go back on the strict low-FODMAP diet with low-to-no fructose. We never officially took her off of the diet, but at the urging of the dietitian relaxed it some (ie, allowed wheat without limit and processed foods... still never fructose or polyols, but I didn't track her daily FODMAP loads). I worry about her food choices now that she is symptomatic again, although it could be a different problem all together. More tests are pending in a couple of weeks. On Wednesday, Amber practiced her ability to adjust to unforeseen circumstances. Actually, this is something she has been working hard at in OT and not only a sarcastic remark. 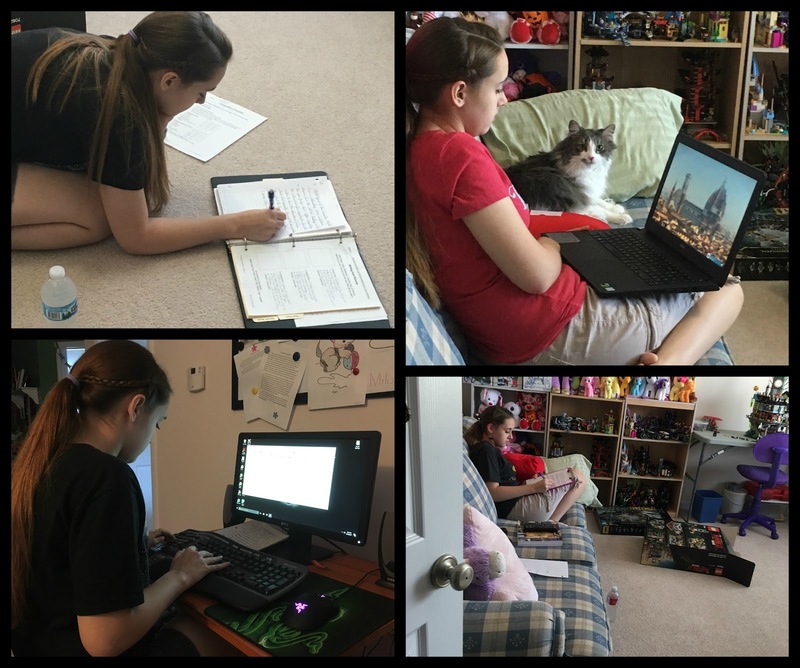 We had plans for errands, lunch, flute lesson, school, the Ninjago Movie (finally), a slightly late dinner, then packing up for co-op the next day. Except, first off Amber woke up feeling crummy still because of her intestines. She looked pretty sickly too, yet claimed she was good to go for the day despite a slow start. First stop: Lowe's to order my new dishwasher and... we didn't make it there. My front driver side tire was making a rhythmic thumping before we even got halfway up our street. I parked the car to check and there was a sharp thing sticking out of the tire. Thankfully, the shop where we purchase and service our tires is in the same larger shopping center as Lowe's, conveniently located only a couple miles from home. I limped my car over to the shop to have the tire checked and repaired. The wait time didn't look promising for us to make the flute lesson, but it could be close. While waiting on my car, we walked to Lowe's and did the whole special ordering and such of my dishwasher. In a few weeks, I'll have a shiny new dishwasher that matches my shiny new refrigerator we got in May, leaving only the range as an original appliance in our kitchen. Knock on wood that it hangs on for a while longer. The house is only 11 years old! Waiting on me at Lowe's - with her flute. Then lunch at Bread Co - with her flute. Then I baked... actually baked, GF, Low-FODMAP banana bread. Although the weather was cool and cloudy, Amber was exhausted after the walking and shopping. We had lunch at St. Louis Bread Company next to the tire repair, and it looked like we might be still on schedule. However, it wasn't meant to be. The tire wasn't finished until after flute lesson should have started and Amber was sickly exhausted by this point. Even though we had the flute with us the drive to the lesson location would have left only 15 minutes of her 45 minute lesson, so we opted to skip it in favor of resting before the movie. Of course, that also meant no school lessons at home. It's so frustrating for Amber (and me) that little things like this can trigger a dysautonomia flare. The unexpected schedule change makes her anxious and then the walking, which could have been be a fun cardio experience, put her body over the edge. Hopefully, she will bounce back quickly and not start her winter slide now. 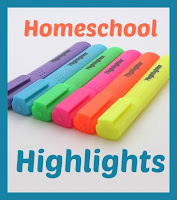 IEW: A whole lesson with video portion and all stages of writing. She even typed the final revision. OYAN: Two lessons with additional research for her novel. She is writing a historical adventure and there were a few setting / character details that didn't sound as plausible as she thought. I was right, and she needed to change a couple of things for historical accuracy. Still, she had already done a good deal of research for most of the setting. Languages - Bunches. Greek, German, Latin. She still finds Greek easier than anything. I still struggle with Greek and boggle at her. How can German possibly be more difficult than Greek? Grammar - Just plugging along. Nothing special or noteworthy, except that she did over a week's worth. Literature - Finished the very last of the romantic poets... this time I'm sure. I thought she had finished, but it was a misunderstanding on my part. She had been clear and specific about what she had completed. Now she's finished except for the final writing assignment due in a couple of weeks (it shouldn't take long to write, but our upcoming schedule is so crazy that I'm not sure when she would write it. Thus I've given her an extended deadline). However, we are good to move forward on the next topic while she writes that last assignment. History - Still happily moving forward with our supplemented version of Notgrass Exploring America and she finished Drive Thru History: U.S. History today after physical therapy. So, I need to find more sick day / exhausted day history videos. Government - Another Notgrass that she really enjoys. Still on schedule too. Phys Ed - Besides the excessive walking on Wednesday, she's really been keeping up with her daily cardio at home. And a physical therapy session today. PT noted that she's a little weaker in some joints because he had her focus on cardio at home during her 4-weeks. We have another 4-weeks before the next PT session and I hope she's not too weak by then. We are hoping to ease her off of PT next summer. Amazingly, she had no serious dislocations since her last PT session - that is simply unprecedented for Amber. This weekend I'm starting the planning phases for a couple of co-op classes next semester. Descriptions and proposals will be requested in October, and I have zero time the first half of October to accomplish that. Hopefully, I can get at least a description of the classes squared away. And grocery shopping, because it didn't happen this week despite having a very long and detailed list. Congrats on a good week despite bumps. We are derailed by little things too sometimes. It is annoying when our bodies can't keep up with our life.